Takes place from February 15 till June 16, 2019. This exhibition shows drawings, bicycles, photos and videos as well as 16 motorcycles including the best models. Italy with its Armani, Fendi, Versage fashion houses, Ponti, Sottsass and Zanussi furniture and interior design pieces, Ferrari, Lambordhini and Alfa Romeo cars is very much associated with style and fashion. Ducati products being very simple in form and being the company that pays so much attention to details shows the best Italian style in elegance and small size. Thanks to all these efforts Ducati motorbikes differ from others in their functions and technical performance. This exhibition will tell its visitors how the family business started in Bologna with the radio components factory, developed so quickly and finally became the holder of the biggest number of Superbike Worldchampionship wins. 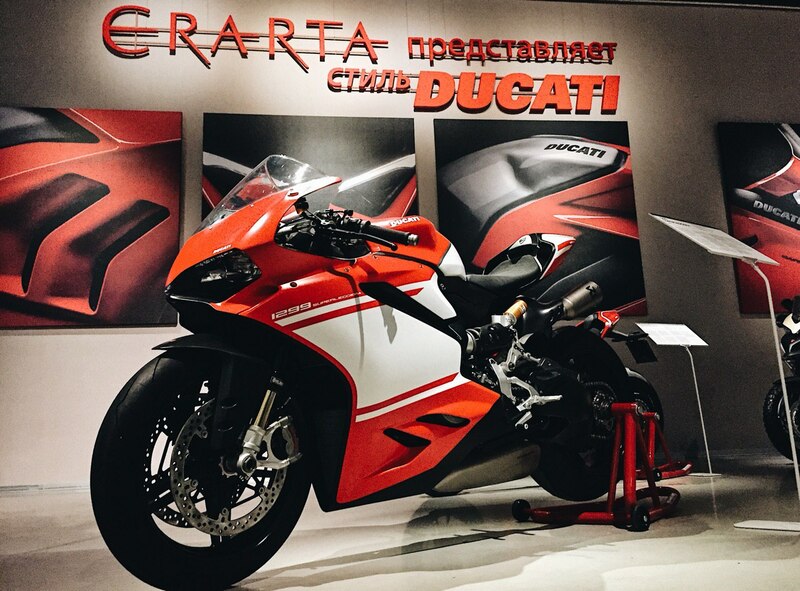 Erarta visitors will see the most famous Ducati models of the past and also the today’s examples that are supplied to more than 26 different countries.